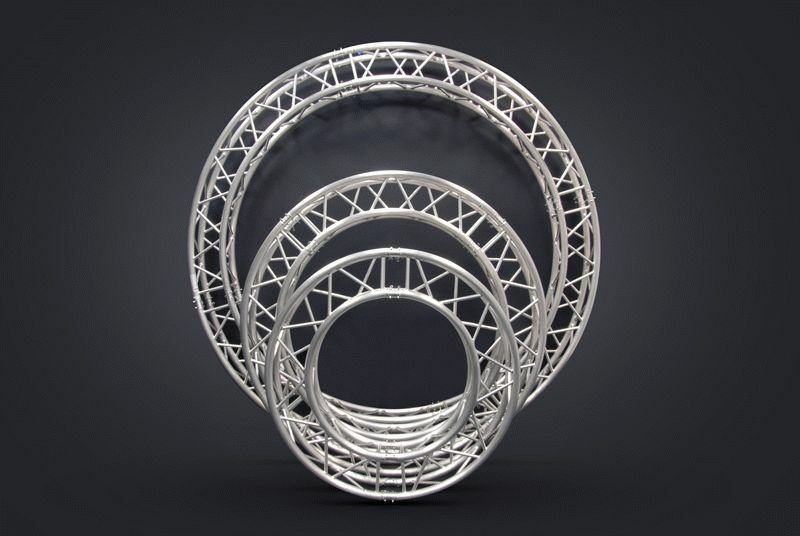 TRUSST®, a manufacturer specializing in durable and economical trussing and related components, debuts three different-sized truss arcs to the US market during LDI 2013. The arcs, which are joining the collection of easy-to-use truss pieces and accessories, will be on display in the 20-by-20 foot TRUSST-built CHAUVET DJ booth (#328). Manufactured from lightweight, high-grade aluminum for easy transport and setup, the truss arcs are crafted by SLV-certified welders and available in three sizes: 3-meter with a 90-degree arc (CT290-430CIR-90), 2-meter with a 90-degree arc (CT290-420CIR-90) and 1.5 meter with a 180-degree arc (CT290-415CIR-180). Each arc includes connecting hardware and is compatible with many TRUSST accessories for impressive, custom presentations and increased design options. 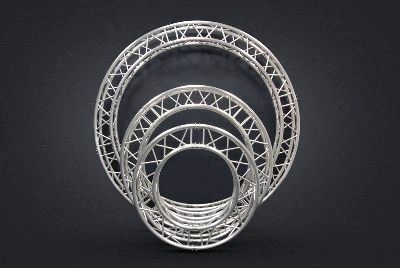 Connect multiple arcs together to create circles, half circles, arches, serpentines and any other design conceivable. TRUSST systems are a rugged yet lightweight trussing solution perfect for mobile DJs, bands, outdoor performances, nightclubs, productions and permanent installations. Built to the highest standards of safety and performance, TRUSST is comprised of modular aluminum components that combine to create nearly limitless configurations. The system utilizes a conical connector system, which easily mates with other major brands of truss of the same size and connector style. The truss sections, which are available in a variety of lengths and shapes, work with different types of corners, base plates, and easy-to-install connectors and accessories to add stability while simplifying set up.